What Is The Best Horse Vitamin And Mineral Supplement? We are bombarded daily with health advice. Exercises, diet plans – and vitamin supplementation. If supplementation is so good for you, why would you also not offer your horse vitamin and mineral supplementation? You may think your horse gets everything he needs from what he eats, but this may not always be the case. The levels of good nutrients in our soils, due to over-intensive farming over the years, is decreasing rapidly, and this can lead to less nourishing grass and hay for our four legged friends. If you have a horse who doesn’t live out and relies heavily on food that you give him, then vitamin and mineral supplementation is even more important, as your horse will not be grazing as often and supplementing his body naturally. 2.1 1. Do horses really need supplements? 2.2 2. How can you tell your horse need supplements? 2.3 3. Where can you get supplements? 2.4 4. How do you choose the best equine supplements? 2.5 5. Are expensive feeds and supplements really better? 2.6 6. What supplements are best for low-energy horses? 2.7 7. What’s a good supplement for hard-working horses? 2.8 8. What minerals do horses need? 2.9 9. What about chelated minerals? 2.10 10. 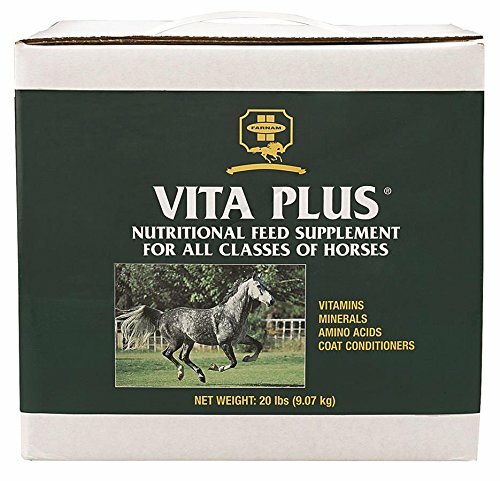 What vitamins do horses need? 2.11 11. What about protein? 2.12 12. When should you review a horse’s supplement regimen? 2.13 13. What if your horse is too fat? 2.14 14. How long does it take to get results with supplements? This is a great all round multivitamin for horses, which is suitable for a huge range of different ages and activities. Whether you have an eventer, a show horse, a brood mare or young stock, you should look into supplementing with this to keep everything as healthy as it can be. Comes in pellet form – This is great as it is incredibly easy to feed; simply add it to your horse’s daily feed or slip into a cut up apple if you have a horse that doesn’t have a bucket feed. Great for skin and hair condition – The product contains polyunsaturates plus the huge range of vitamins and minerals, for a good healthy coat. Can also strengthen feet – If the horse is getting all the right nutrients, his body will reflect this. Having strong feet is a great sign that the horse is doing well. You won’t have to wait weeks to see results – Unlike some supplements, this product starts working straight away, so you will be able to see the benefits instantly. Doesn’t work for everyone – Every horse is different, and for a few there may not be much difference while using this product. Take heart if this is you; it may just mean your horse was already doing perfectly well! A great product that contains just about every vitamin and mineral that is essential for good health. You can select a smaller size to start with if you just want to try it out, or invest in a larger container if you know that this is the product for you. A comprehensive supplement that contains just about everything your horse needs to stay fit and healthy. It’s formulated by certified equine nutritionalists, so you know it’s got to be a good one! Contains probiotics for a healthy gut – If your horse’s stomach is on the sensitive side, then this product will help heal their stomach and ensure they are getting the most out of their food. Keeps hooves strong – With each dose containing 4.5mg of Biotin, you will be doing your horse’s hooves a favour with this supplement too. Selenium and Vitamin E for faster muscle recovery – This is great if you have a horse in active work who loses condition quickly. These minerals can really help improve recovery and keep a good topline. Easy to feed – The simple pellet formula is simple to add to bucket food or sprinkle over hay. Even picky eaters seem to like it! Some feel it is expensive – There have been reports of the same product for half the price at other retailers – but that really is the only issue recounted about this supplement. 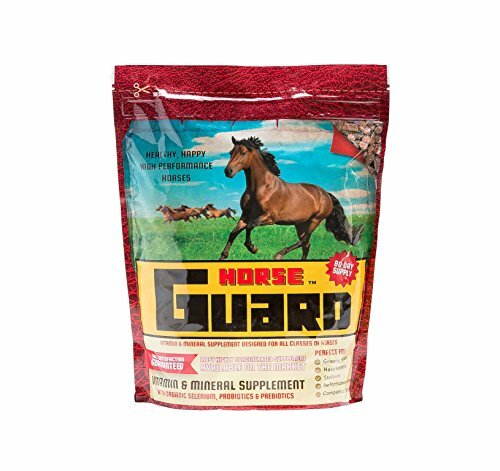 A really good vitamin and mineral supplement for all horses that is easy to feed and supports not only the immune system but the coat, gut and hooves too. What’s not to love? This is a well balanced daily supplement that contains all the recognised water and fat-soluble minerals for a truly healthy horse, plus a raft of gut-supporting microbes. Suitable for all types of horse – Unlike some supplements, this one doesn’t require your horse to be a certain breed, or in a certain type of activity, in order to work. Boosts energy levels – Even in older horses who have been struggling, you can really see an increase in energy and fitness while using this product. Great for the gut – Yeast culture and digestive enzymes support the digestive system, which can help the overall health of the horse in the short term and the long term. Good value for money – For a 40 day supply, this product will surprise you with how inexpensive it is. Which is good, because if it works and you continue to use it, then you will be doing your bank balance a favour as well as the health of your horse! Powder not pellets – The product is a powder, which some horses find more difficult to eat as it can be dry. You can get around this by putting it in a bucket with wetter feed. A fantastic all round supplement to bring out the best in your horse and keep him as fit as he can possibly be, for as long as possible. 1. Do horses really need supplements? Horses who get plenty of grazing time and have a good balanced diet and are mostly pasture ornaments or are only ridden lightly may not need supplements. Show horses, racehorses and other working horses have greater needs for vitamin and mineral supplementation. 2. How can you tell your horse need supplements? Just like people, horses are individuals and have individual dietary needs. To determine exactly what supplements your horse may need, you should talk with your vet and have a ration evaluation performed. Your vet can take blood tests and provide a full physical exam to determine what supplements, if any, would be best for your horse. 3. Where can you get supplements? Your veterinarian may offer a good brand of supplements. Alternately, you could go to your local feed store, search online and/or browse through supplement catalogs to find the best product suit your needs. 4. How do you choose the best equine supplements? Reading labels is an important part of choosing great supplements. Avoid any supplement that contains lots of sugar or empty calorie fillers. Supplements should contain the focused amounts of the vitamins, minerals and trace elements your veterinarian recommends. 5. Are expensive feeds and supplements really better? As a general rule, yes. Very often, bargain feeds and supplements leave out or reduce important elements. When choosing your feed or supplement, be sure to compare labels and confer with your vet. 6. What supplements are best for low-energy horses? These products add calories to provide energy and help your horse keep weight on, but they do not excessively challenge horses digestive system with large amounts of carbohydrates. That’s why these supplements do not tend to cause problems such as hindgut acidosis, laminitis and colic. 7. What’s a good supplement for hard-working horses? Trail horses, racehorses and others that work hard and tend to sweat a lot need electrolyte supplementation. The electrolytes most lost through sweating are potassium, sodium and chloride. If you feed your horse an ample amount of hay, he or she should be getting plenty of potassium. Provide free access to a good salt block so that your horse can consume chloride and sodium as needed. 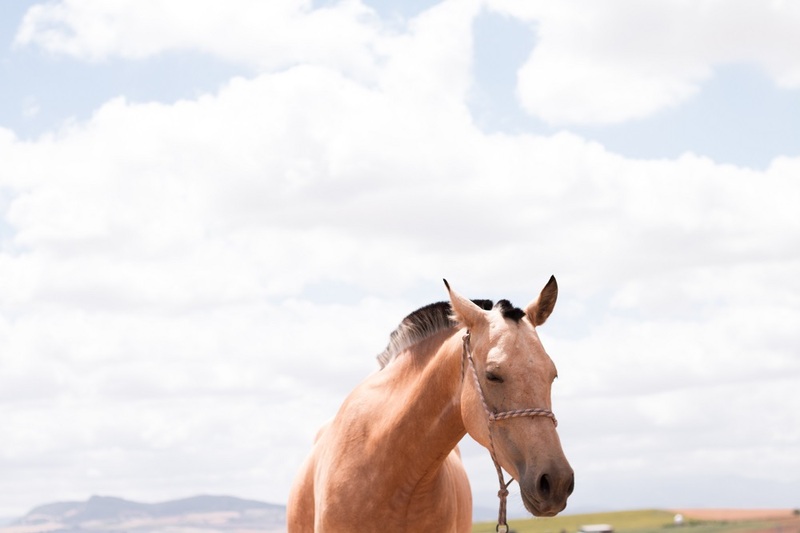 If your horse is very hard-working and sweats a great deal, look for a focused electrolyte supplement to avoid problems with low performance, overheating and fatigue. 8. What minerals do horses need? A balanced combination of calcium, magnesium and phosphorus is essential for your horse to maintain strong bones, teeth and hooves. Magnesium is also important for central nervous system support, muscle function, reduction of inflammation and many other important functions. Horses’ needs for these minerals vary depending upon life stage and circumstances. As always, consult with your veterinarian to determine exactly what your horse needs for his or her metabolism, workload and age. 9. What about chelated minerals? In addition to larger amounts of phosphorus and calcium, horses also need small amounts of chromium, selenium, iodine, manganese, zinc, iron and copper. This is especially true for horses that perform heavy work or exercise. When purchasing mineral supplements always check to be sure that these lesser minerals are included. 10. What vitamins do horses need? Vitamin E is a very important addition to your horse’s diet. Surprisingly, a fairly small amount of vitamin E (1000 IU) can meet a horse’s daily needs. Natural vitamin E is far better absorbed than synthetic. If you are feeding your horse a balanced, premium complete feed, he or she is probably getting plenty of vitamin E.
A horse who is fed an ample, balanced diet of high quality feed and hay with plenty of turnout time probably does not need a protein supplement. If you’re concerned that your horse’s energy levels are low or that he is not developing muscle properly, you may wish to add soybean meal to his diet. 12. When should you review a horse’s supplement regimen? Your horse’s vitamin and mineral needs change with age, with circumstances and with the weather. As your horse passes from one phase of life into another, you should review your feeding and supplementation schedule. If your horse is pregnant, she will need different supplements and more feed than when she is not. During cold weather, horses may need more fat and more calories in their diet. If you move to a different location and have different grazing circumstances, you will need to adjust your horse’s diet and supplementation. 13. What if your horse is too fat? If you have an easy keeper who tends to put on too much weight, you run the risk of not providing enough vitamins and minerals if you cut back feed to control weight. In this case, try using a processed, complet feed or a balancer pellet. This type of preparation provides the perfect balance of vitamins, minerals and protein with fewer carbohydrates and lower calories. Be sure to follow packaging instructions (or your vet’s instructions) when measuring the feed. Feeding too much or too little can cause problems. 14. How long does it take to get results with supplements? This varies greatly from horse to horse and depending upon the reason for the supplementation. Hoof supplements take months to show results. Energy supplements or calming supplements may produce results within a few days. In general, you should feed the supplement consistently for a good six months before making any changes. In this way, you give the supplement a chance to fully realize results. Keeping your best friend as healthy as they can be is vitally important. Not only will they reward you in being able to carry on doing what you want to do with them – whether that is jumping, showing, hacking around the countryside or just as a field ornament – but they will be healthy and happy at the same time. Joint supplements, mineral and vitamin supplements are all an important part of the regular horse feed. If you want a great all-round multivitamin for just about any breed or type of horse then go for Farnam Vita Plus Feed Supplement. If you (and your horse!) 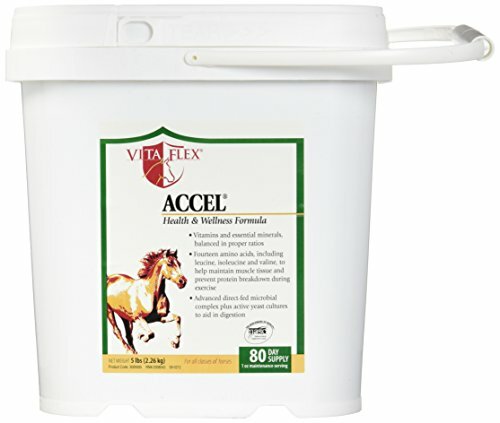 want a comprehensive supplement that is designed by specialist nutritionists, then try Horseguard Equine Vitamin Mineral Supplement, and if you want a supplement that specifically supports the digestive system as well as offering a good range of vitamins and minerals, go for Vita Flex Accel Health And Wellness Formula. Does it make sense to wonder what your horse NEEDS before giving them a supplement? I am sure they are all created differently and one supplement might not be as effective as the next when it comes to your horse getting what it needs to stay healthy.